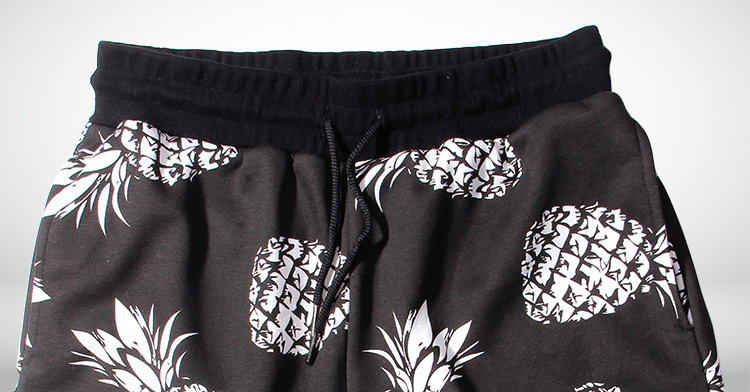 These black shorts that feature pineapples, are printed with the highest quality craftsmanship. The drawstring shorts have a look thats shimmering and appealing. 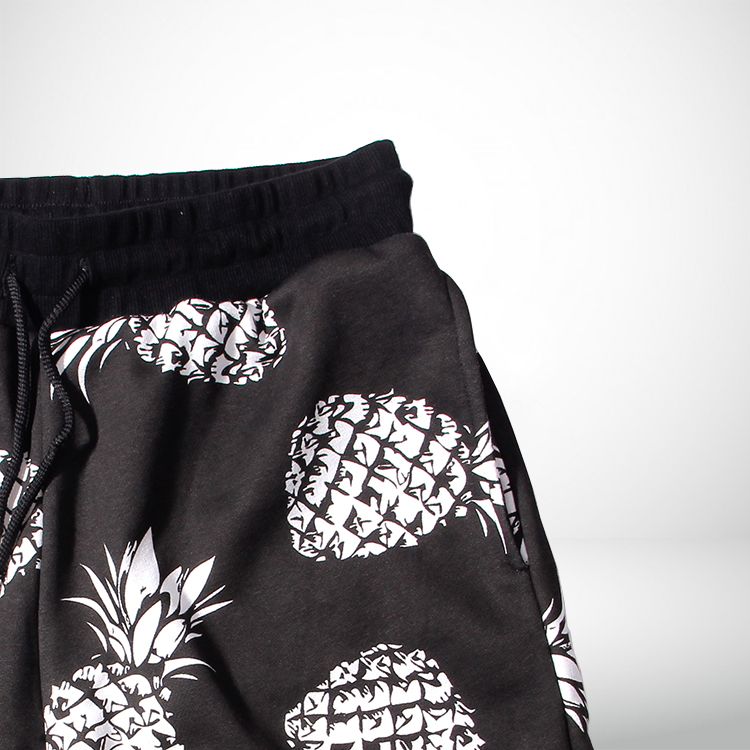 these high-end and sophisticated pineapple print shoes and floral print shorts mens designs at PILAEO are in-style this summer and sure to make you look fashionable, and timelessly owning style. 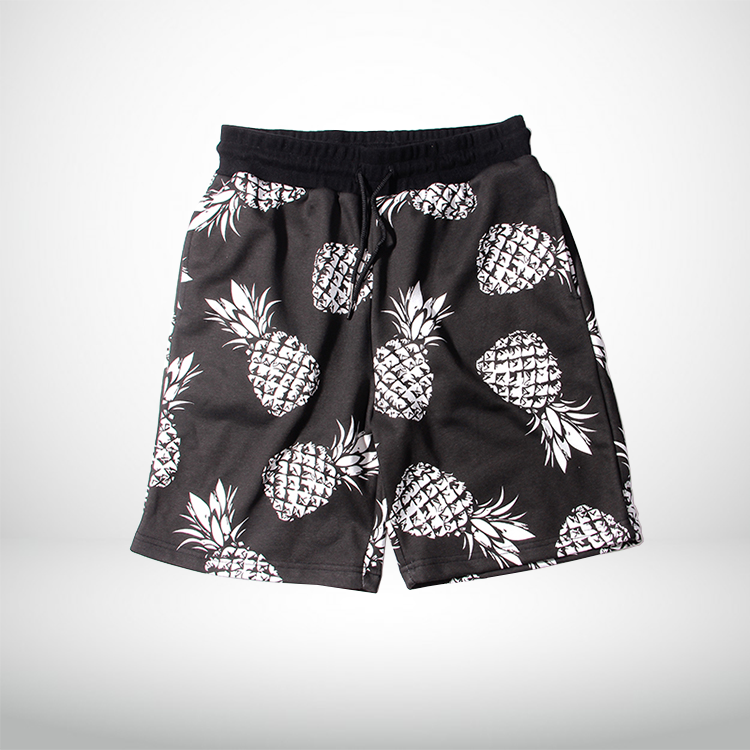 These uniquely designed shorts are breathable, with the right material, and has style to complement your summer trips to the beach, or even leisure. 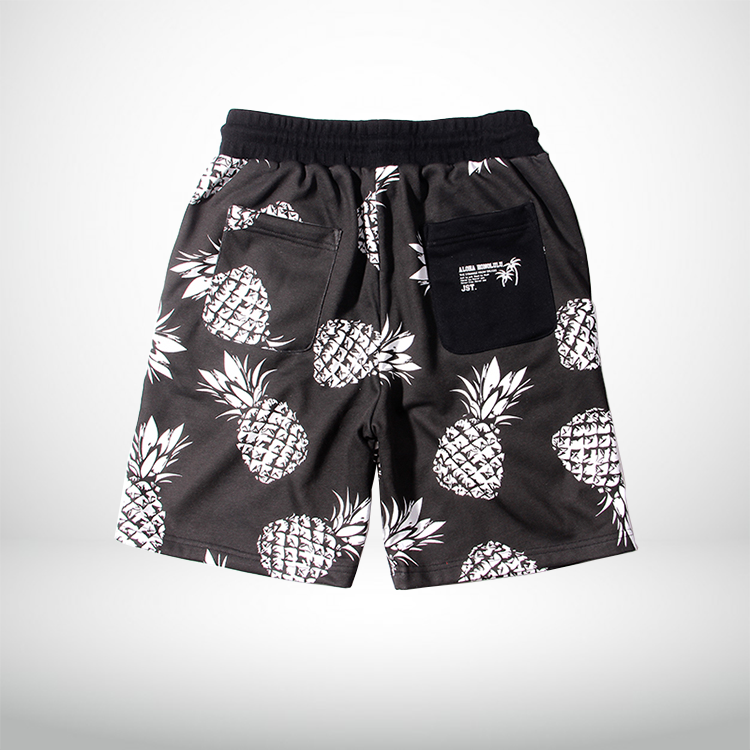 To get a look thats casual, yet neat, wear these pineapple print shorts with a polo shirt of your choice, and white sneakers. 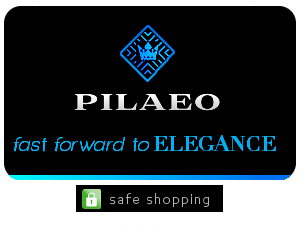 designs at PILAEO are in-style this summer and sure to make you look fashionable, and timelessly owning style.